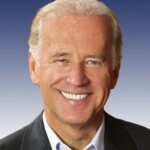 Sen. Joe Biden has a problem with the Catholic Church – his stance on abortion which is in direct defiance of teachings and precepts of the religion the Delaware Senator purports to belong to. Several Bishops and Arch-Bishops have already issued declarations denying Biden the Eucharist within their diocese and arch-diocese. This is but one step away from excommunication. Regarding the grave sin of abortion or euthanasia, when a person�s formal cooperation becomes manifest (understood, in the case of a Catholic politician, as his consistently campaigning and voting for permissive abortion and euthanasia laws), his pastor should meet with him, instructing him about the Church�s teaching, informing him that he is not to present himself for holy Communion until he brings to an end the objective situation of sin, and warning him that he will otherwise be denied the Eucharist. So one must wonder how long it will be before the Catholic Church takes the next step in remonstrating the wayward Senator and formally excommunicates him. Since all 55 US Catholic Bishops and Arch-Bishops have denounced the Democratic vice Presidential candidate I do not believe this step is very far away. Indeed, Pope Benedict XVI has previously in 2007 unequivocally stated that pro-choice politicians not only should be denied communion, but face outright excommunication from the Church for supporting the killing of a human child. Yes, that they are excommunicated isn’t something arbitrary. It’s envisioned in the law of the Church that the killing of a human child is incompatible with being in communion with the body of Christ. It is not normal for such public ceremonies to be held today. Only in cases where a person’s excommunicable offense is very public and likely to confuse people – such as Biden’s case – is a person’s excommunicated status even announced, and that usually by a simple statement from a church official. This may present quite a problem for the Obama-Biden campaign. 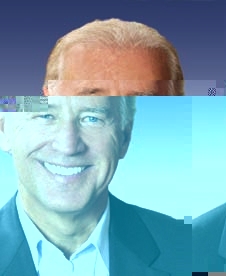 Biden is being trashed across every state of the Union by Catholic newspapers, TV and radio stations, and blogs – and the likelihood of his excommunication will only make that worse. There are 47 million Catholic voters in the United States. One quarter of all registered voters are Catholics. At every presidential election in the past 30 years the Catholic vote has gone to the winning candidate, except for Al Gore in 2000. How many of these Catholic voters will vote for a man on the verge of being excommunicated? Will the tolling of a bell be the death knell of Obama’s campaign? Will the book that is closed be the book on the Democrat’s chance at the White House? Will that candle that is snuffed out be the hope of the pro-choice Liberals? Here’s a little bit of truth concerning Sen. McCain, Fannie Mae, Freddie Mac, and the current economic crisis that Obama, his followers and their MSM shills don’t want to publish. That is correct; in 2005 Sen. McCain co-sponsored – along with four other Republican senators – legislation that might well have prevented the housing debacle and its resultant economic upheaval. Sadly, the Democrats led by Barney Frank and Chris Dodd quashed the bill before it could even be brought to vote. 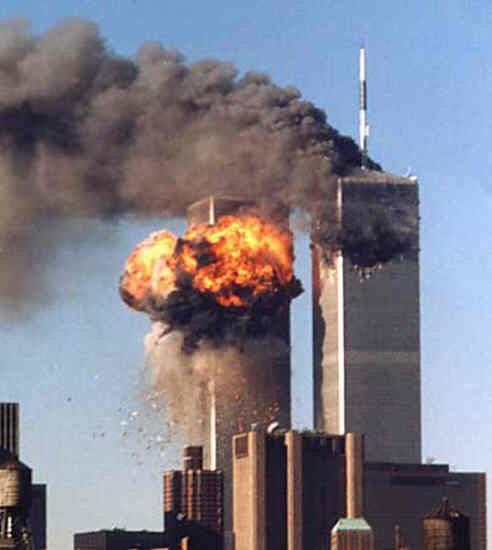 May the Gods bless America with Vision to find those who have wronged us and murdered among us, with the strength of Arm to chastise them and bring them before the Gods for judgment, and the Will to use our Vision and our the strength of our Arm wreak our retribution upon our enemies and bring them low and into dust. Alaska’s Governor Sarah, Palin has been chosen by Senator John McCain to be his Vice Presidential nominee and running mate in the 2008 US presidential elections. The vast majority of people – certainly almost all of the Left – believe that Gov. 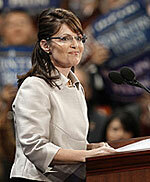 Palin was chosen solely because of her gender. The general assumption among the Democrats is that her nomination was nothing beyond a poorly executed pandering to the die-hard Hillary Clinton supporters who feel so abused and maligned by the Democratic Party and the Obama campaign. I truly wonder if this was the case. This does not mean that I believe the the GOP is beyond such tactics. It merely means that I do not hold them in such contempt that I believe they would execute any campaign strategy that poorly. It’s absolutely no secret that McCain wanted Sen. Joe Lieberman as his VP. Lieberman was an politically unacceptable choice though. An ex-Democrat now Independent who ran with Al Gore in the 2000 election wasn’t going to be acceptable to the GOP or their conservative base. McCain had to choose another running mate. That’s where it gets interesting. Palin based on her political views – especially her hatred of government corruption – was always a fine choice for McCain’s VP.� Much of her – albeit limited – political history shows that she was a good match for the “maverick” McCain. Alas, she was a woman and the GOP could not be expected to accept a female VP candidate. Then along came Hillary and the resulting rather bitter schism within the Democrats. Suddenly a female VP candidate was politically viable. So the question becomes did McCain choose Palin as his running mate because she was a woman or did he choose her for political positions and cultural views despite or irrespective of her being a woman thanks to Clinton making it palatable to the GOP? The Left will tell you the reason was the former, but I believe it was the latter.� Palin bring far to much to McCain’s campaign from within the Right and so little from the Left that it’s ridiculous to think that the McCain and the GOP would have chosen her in order to pander to Hillary’s supporters.